It’s Monthly DIY Challenge day! If you’re new around here, WELCOME. Monthly DIY Challenge is one day each month where several of my blog friends and I get together to make something using the same theme or material. You can see all of the previous months here. This months material was CORK. 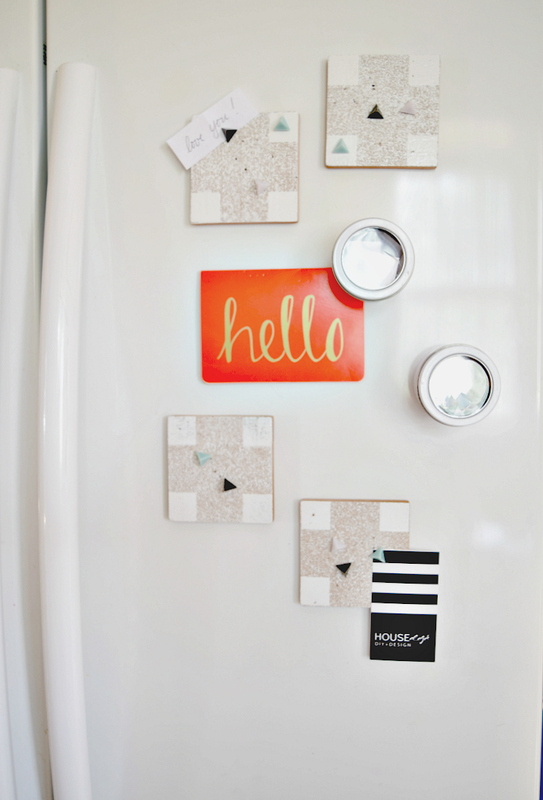 I decided to make a simple mini magnetic message center for my refrigerator. When I say simple I mean, REALLY SIMPLE. I started with these packs of cork magnets from the dollar store and a can of white spray paint. I took the cork magnets outside and gave them two light coats of spray paint. Because of the little squares on each corner and nice swiss cross pattern emerged, which I loved so I just stopped while ahead. 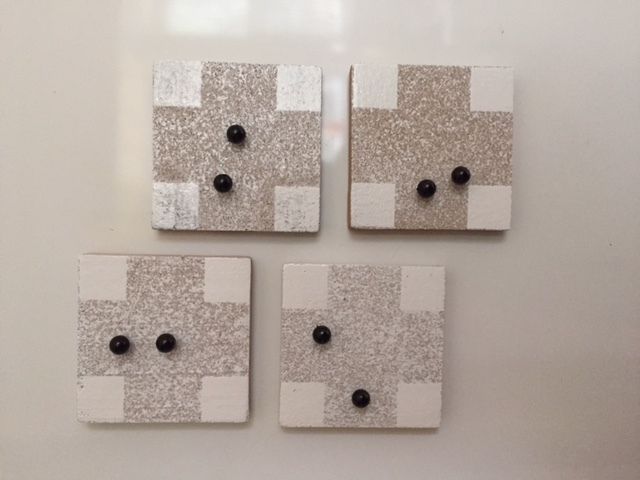 A while back, while giving my Craft Room a makeover I found the geometric pins at Target dollar spot, so I used those to pretty up the little boards. Now my fam and I have a fun little spot to add small notes to each other. 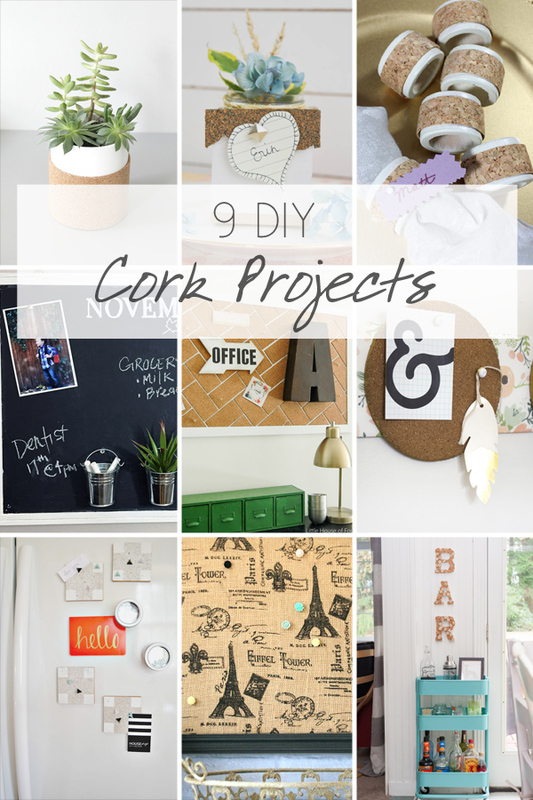 Be sure to check out all of the other CORK projects from my friends below, There are some really great ones!! So cute! Love the swiss cross pattern! I didn’t know they made cork magnets! These are really cute and the swiss cross pattern is perfect. How lucky is it that those little crosses just worked out that way?! Awesome! Cork magnets, how great is that? The swiss cross pattern is perfect, love these! Super cute! Gotta love simple and easy projects! 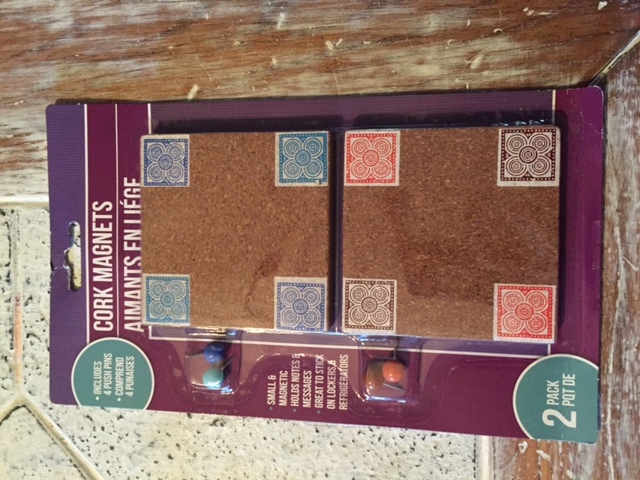 Cork magnets?!?! If only I knew such a thing existed! Such a perfect mini memo board idea!! And the colors and swiss cross pattern turned out so cute and SO you! Love it!